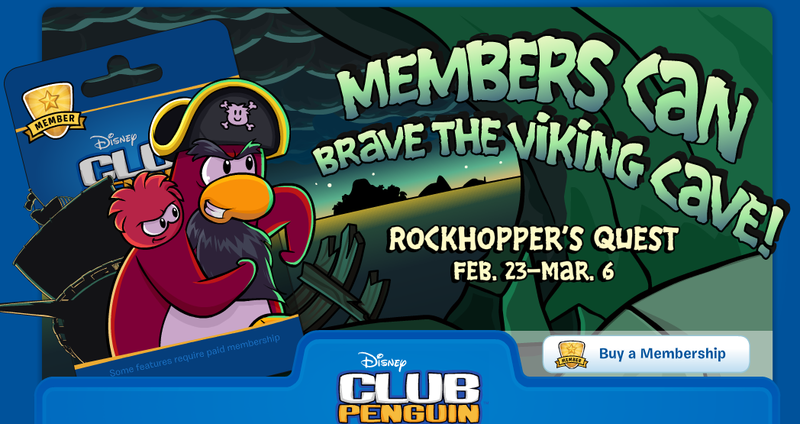 Club Penguin Cheats by Mimo777 Club Penguin Cheats by Mimo777: Club Penguin Rockhopper's Quest Start Up Screen! Wow! "Brave the Viking Cave?" How cool does that sound? Does it ounds a bit like the Underwater Expedition? Non members can't do this?? I bet all next month the start up screen will have a membership card on it. :( Poor non members.